Ikeda Shoen (1888-1917) was married to Terukata. She was a painter and also designed kuchi-e. 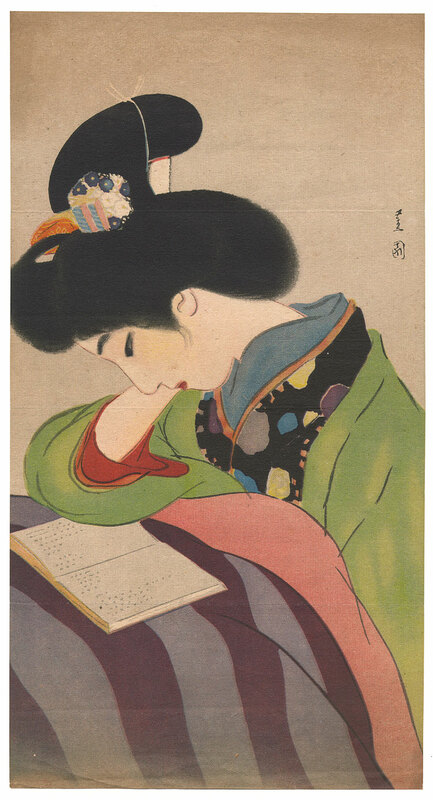 This is an off-set/lithograph print which was an insert in a magazine or novel, carrying on the tradition of woodblock printed kuchi-e into modern printing methods.